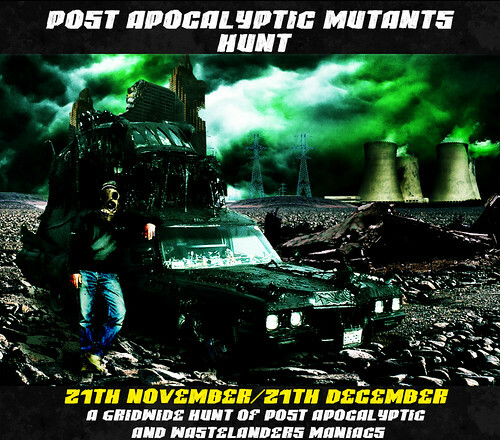 With just a few days open, we already got a few great names of the participating stores for the Post Apocalyptic Mutants Hunt. You can keep on eye on this blog – http://pamhunt.wordpress.com wich will be updated everytime we got more stores participating, so everybody will know wich places will be looking in future! The Subscriptions are still open! If you are a designer and want to be part of this hunt, please fill up this form below and send it as a notecard titled – “P.A.M Hunt – Store name” to trilochankaur Rehula. The Deadline of those subscriptions are OCTOBER 30TH. The P.A.M Hunt group is open! The P.A.M Hunt group is open to join! As you wish to receive information and hints in future about this hunt, i advise you to take a place at our group ! Just simply paste this line or click this link with your SL viewer open and it will give you the group window.